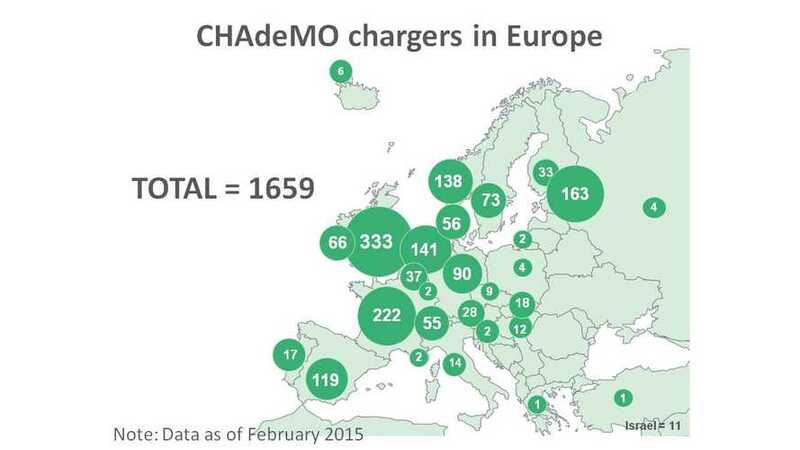 March 2015 began with roughly 5,500 CHAdeMO DC fast chargers worldwide, according to CHAdeMO Association. Half of the chargers are in Japan, though both Europe and the US seem to be getting more and more CHAdeMOs. Europe has 1,659, while the US is home to 934. One month ago the numbers were 1,532 and 854. The number of new installations again prevails in Europe - over 120 vs. 80 in US. "The number of CHAdeMO DC Quick chargers installed up to today is 5467. 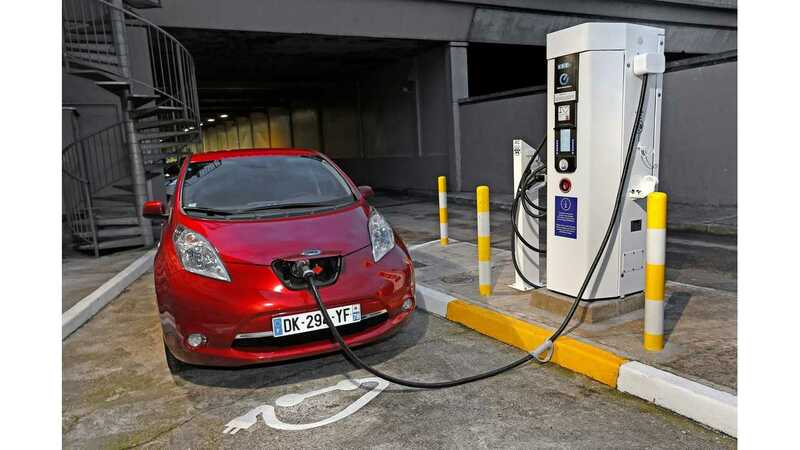 -- (Japan 2819 Europe 1659 USA 934 Others 55) last update 2015.03.06"
* Some CHAdeMO chargers are multi-standard with DC Combo or AC plugs.